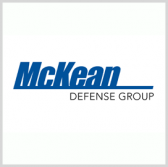 McKean Defense has secured two contracts worth up to $70M combined from the Naval Surface Warfare Center’s Philadelphia Division to support certain U.S. Navy and U.S. Army ships. The company said Wednesday it will engineer and provide technical services for electrical power and generation systems on Navy surface ships, submarines and assault aircraft under a $41M contract. The second contract, valued at $30M, covers alteration, equipment life cycle management, data collection and analysis, metrics, logistic product development and test services for the Army’s watercraft as well as hull, mechanical and electrical systems. McKean Defense CEO Joseph Carlini said the awards would help expand the company’s NSWC PD program portfolio. “We are encouraged both by the confidence shown in making these awards, and the additional Philadelphia expansion afforded by several key subcontract wins as well,” Carlini added.